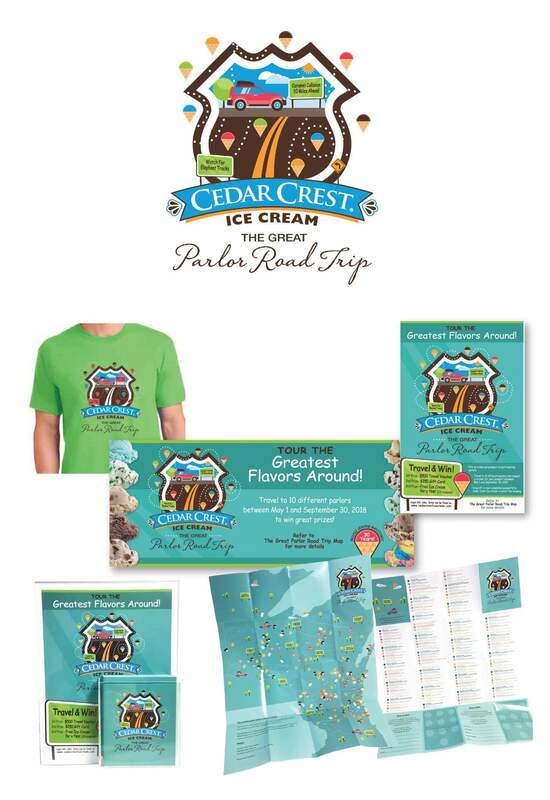 Cedar Crest Ice Cream is a Wisconsin-based, family-owned business that produces small batch craft ice cream, as well as a variety of other frozen dairy products including sherbet, frozen yogurt, gelato, and frozen custard. The company needed packaging design for its new line of frozen custard that would fit into their family of products, yet stand apart as a more premium, indulgent treat. 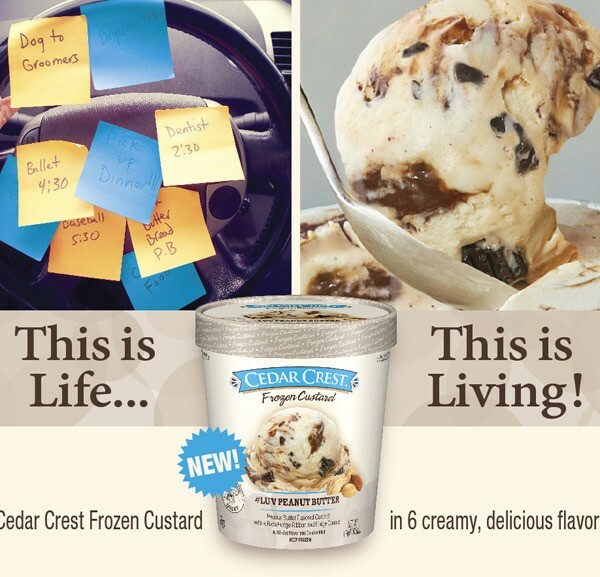 Cedar Crest Ice Cream is a Wisconsin-based, premium small-batch ice cream producer that offers over 80 flavors of ice cream, along with sherbet, gelato, frozen custard, and other frozen dairy products. 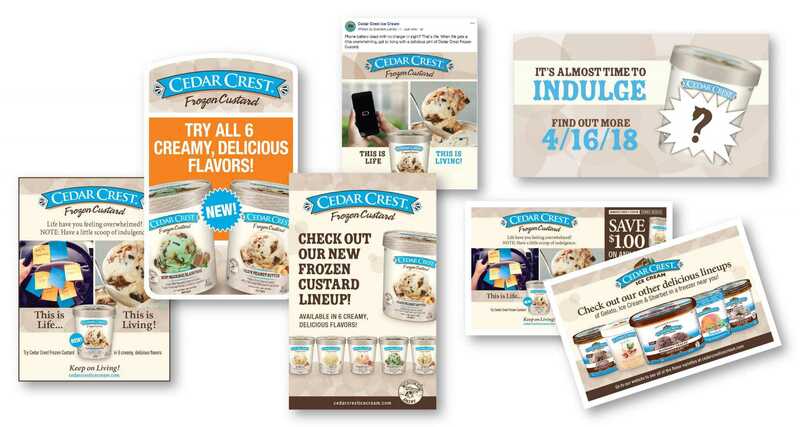 The company needed a marketing promotion campaign to introduce its six flavors of frozen custard to the marketplace. 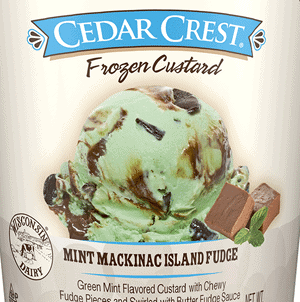 Cedar Crest Ice Cream is a Wisconsin-based, premium small-batch ice cream producer that offers over 80 flavors of ice cream, along with sherbet, gelato, frozen custard, and other frozen dairy products. The company needed design support for its new parlor promotion, “The Great Parlor Road Trip”.